What Will the Web Look Like in 2022? For web developers and designers to thrive in the future, we ought to start preparing now. Until someone finally invents the flux capacitor—get on it, science—our best bet is to look at what’s happening now and try to extrapolate it out. That was the prediction of someone whose technology was integral to creating the web as we know it. He was on the internet before it was the internet. And he was super wrong. Making predictions is never an exact science. So the right way forward is to find solid trends that may serve your agency well in 2022, but will also help you take the lead right now. So let’s look at what’s just beyond the curve for hardware, software, interfaces, the open web, and security. And let’s see what opportunities the coming changes provide. There are two reasons processor speed will plateau. The first is simple physics: Our smallest circuits are getting near 10 nanometers in width. At five nanometers, Heisenberg’s uncertainty principle kicks in, which means that we won’t be able to tell where the bits are. Binary cirucits rely on being able to tell if something is a 1 or a 0, and as we get closer to 5 nanometers, we are approaching a hard limit for today’s binary circuits. Granted, there are technologies that could push those boundaries, such as 3D chips and, further out, quantum computing. But these technologies don’t address the second reason speed will be less important. The second reason is more anthropological. This analogy comes via a talk Maciej Ceglowski delivered at the HOW Interactive Design conference; we have reached processor speeds that are good enough. Air travel is a good corollary here: from the 1920s through the 1950s, airplanes were doubling speeds, ranges and capacities every 10 years. Planners in the 1960s expected the next big milestones were going to be regular supersonic travel and vacationing on the moon. Instead, everything plateaued. Airplanes today look, work and function largely the same as the airplanes of the 1970s. The costs to further improve the technology weren’t worth the outcomes. Similarly, our chips today are rapidly approaching the point of good enough. Most of us use our pocket supercomputers for browsing social media. We’re not exactly pushing the edges of what hardware speeds can deliver. Instead of speed, the focus in 2022 will be much more on efficiency, connectivity, and lower power consumption. Your fridge, your watch and your shoes will all have chips in them, and they won’t need to be computing powerhouses. They will just need to work together efficiently and effectively. The Internet of Things doesn’t require supercomputers. With this proliferation of devices will come a proliferation of specialized chips. We’ve already seen this start with the rise of GPUs and we’ll see more and more specialized chips going forward. As more chips are developed and mass-produced, the trend will accelerate. Get Ready Now: As more and more devices are connected to the internet, the world will become more web-ish. We understand this world. We’ve been building an interconnected world for many years now and this trend will open up more doors. 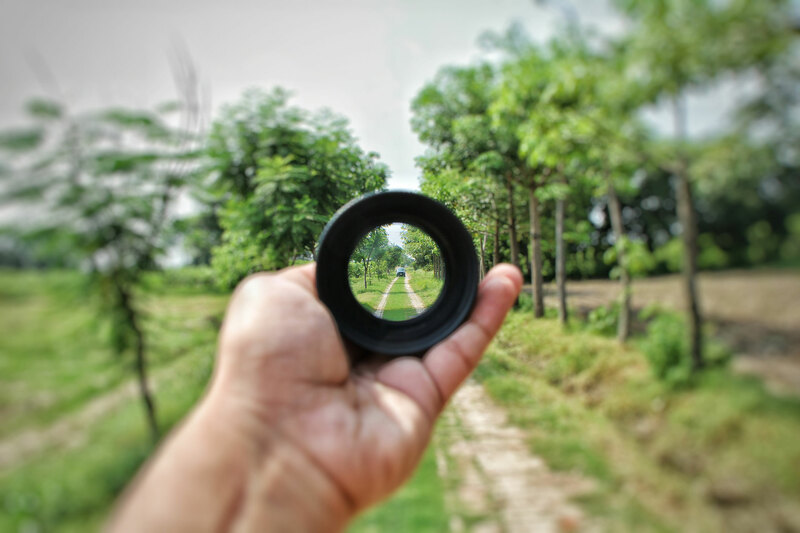 I think web professionals can be optimistic; the world around us is being reshaped in ways that will further emphasize interconnectedness and reward those who know how to think and plan in that environment. As devices multiply, so will the interfaces we use to interact with them. We all know about the move from monitors to smaller, touch-enabled screens. Seventy-two percent of adults in the U.S. own a smartphone, and plenty of us have tablets and e-readers, too. Screens themselves will be de-emphasized in the future, however, as newer technologies are improved. Augmented Reality, audible interfaces, and APIs all have a big place in our collective future. Augmented Reality (AR) provides a digital overlay to the “real” world that is location and context-aware. For many of us our first taste of AR was trying out Pokémon Go over the summer. And, while that was a trivial example of what AR can do, it hints at things to come. I put “real” in quotes up there because the distinction between the digital world and the "real" world will be less important going forward. Digital things are real things too. Google Glass won’t be the last experiment in trying to give people additional information about the world around them in a convenient format, digitally overlayed on their surroundings in a context-aware way. Humans have more ways of interacting with the world than sight, however. We’re starting to see web browsing with an audible interface where there’s no visual component at all. Amazon’s Echo, Apple’s Siri, and Google’s Home are all early examples of how we can expect to increasingly interact with the devices around us. This is a website. It’s functional today. What does it mean to design an audible interface to a website? Do we aspire to push pixels around screens or to solve problems for users? If we can start answering with the latter, we will be well-prepared for the future. Similarly, many of the devices of the future will talk to each other. Most serious websites today have at least one point of integration with an external API. Skills and a strong track record with external API integrations will become even more important in the future. Continue to hone your skills in this direction and start doing more with decoupled architecture via headless Drupal and the WordPress Rest API. Get Ready Now: Start thinking beyond screens. Use every opportunity you have to try out new interfaces and build them into projects. Connect with external APIs and push the boundaries of decoupled Drupal and WordPress. As hardware slows and interfaces multiply, software grows. Cloud software and SaaS are have been talked about for ages but by 2022 they’ll be the accepted norm in 2022. Many of the services that web developers provide now will be commoditized, rolled into cheap and easy self-serve solutions. It provides the address with a clickable map, a phone number I can click to call, hours of operation, a menu link, and a link to place an order. Plus estimates of how busy they usually are and customer reviews, all in a standard format that’s pretty easy-to-digest. Notice it features less information and less utility with that information. Their phone number is actually a picture of a phone number(!)... a very bad practice. 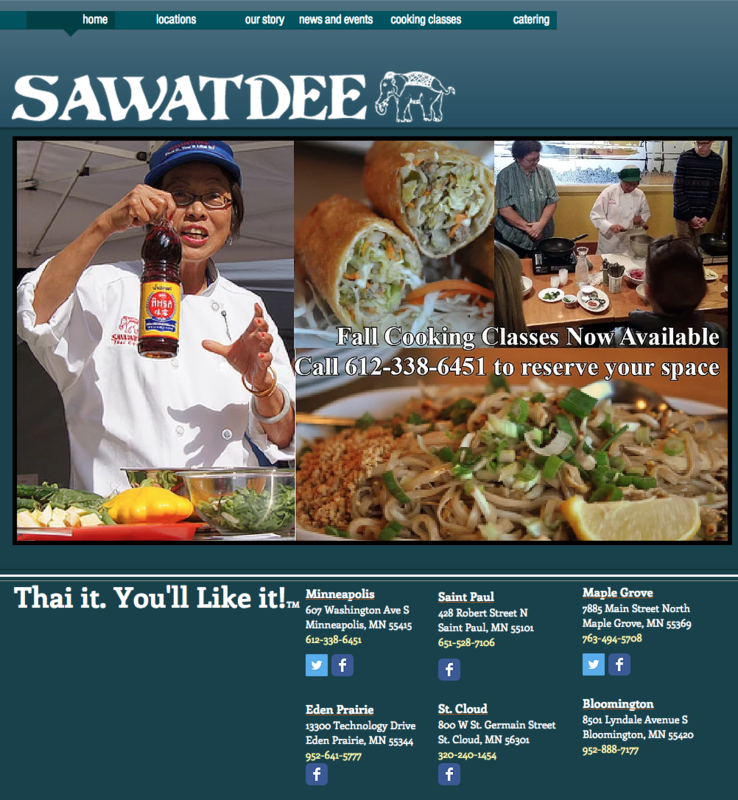 (Note: I’m not picking on Sawatdee—their spring rolls are to die for!) Many restaurants already have a similar disparity between their official website and the entry generated by Google. As Google and other tools improve, that disparity will grow. If your primary business is making websites for restaurants, Google has put you on notice. 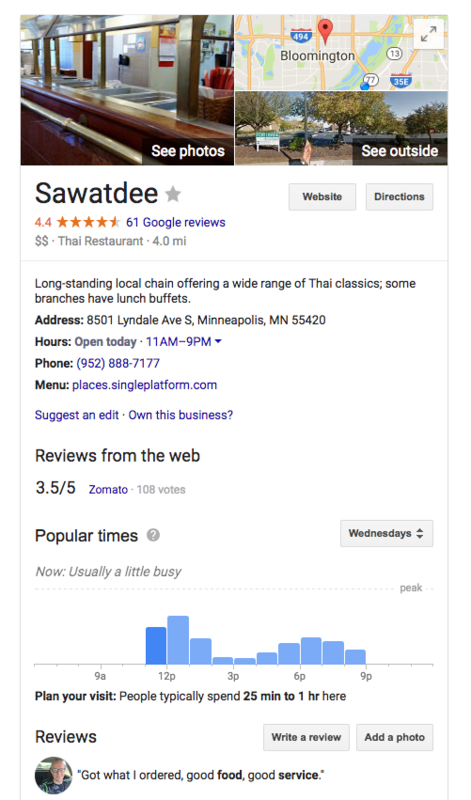 At any moment, Google could create a tool that restaurant owners could use to make a webpage that’s a more robust version of the current Google entry. They could do it now. They’ve already invented Google Forms and Google Sites. If they haven’t done it by 2022, someone else will. It’s not just restaurants, of course. There will be cheap and easy solutions for many commoditizable clients and markets. We’ve already seen this happen with movie theater listings, local businesses, even big-box stores. Customers now can get the information they need without ever clicking past a search result. These kind of “shallow” sites have been bread and butter for a decade or more, but by 2022 that work will be hard to come by. Get Ready Now: If you provide services for a commoditizable client or industry like restaurants, it’s time to get out or go deep. Go deep by solving high value problems and giving them more intelligent ways to do the things they need to do. For a restaurant, that might mean enabling them to forecast demand, order supplies, integrate with reporting tools and more. Or it might be designing a mobile experience that offers easy ordering functionality to users who walk by the storefront and smell something good. This might be a controversial prediction, but I’ll say it: The open web is going to win out over walled gardens. Even as more people spend more time in walled gardens like Google, Apple, Facebook, and Amazon, in the end open and common standards will win. We saw this play out back in the early days of the web, with Netscape and Internet Explorer both ignoring the call for web standards. When Internet Explorer started to dominate the market, Netscape jumped on board and helped force a market change in standards. If Google were to roll out the aforementioned Google Restaurants tool, Facebook, Apple, and others would start clamoring for open access to that data. You might even hear them saying things like “It belongs to the restaurant, not Google!”. Same goes if Facebook is the first to implement something similar. When one of these walled gardens starts winning the war, the others will cry foul and support common standards. Groups like the Open Web Initiative are a start, but I don’t think we have an equivalent group to the Web Standards Project yet. Get Ready Now: I believe that proprietary formats like Google AMP and FIA and others won’t live terribly long lives. Eventually they’ll need to merge to survive. If you have clients that want to explore proprietary formats, go for it. If you want to explore them to stay current, check them out. But don’t get too caught up in any single-vendor solutions. Similarly, get educated and informed on the Open Web. Support standards movements as they emerge. Be ready to embrace the walled garden losers as they find themselves walled off from the winners. There are millions of records hacked on nearly a weekly basis right now. We can only expect more cyberattacks, more leaks, more compromised data in the future. Information is Beautiful has a great visualization on data breaches that helps drive home this point. Eventually people will be fed up enough to lead to real data privacy regulation. The EU is already leading the way here. As we entrust more private data to social networks, search companies, and others, expect the call for privacy and individual data rights to grow louder. Eventually that call will lead to legislation in the U.S., and we’ll be held to higher security and privacy standards. 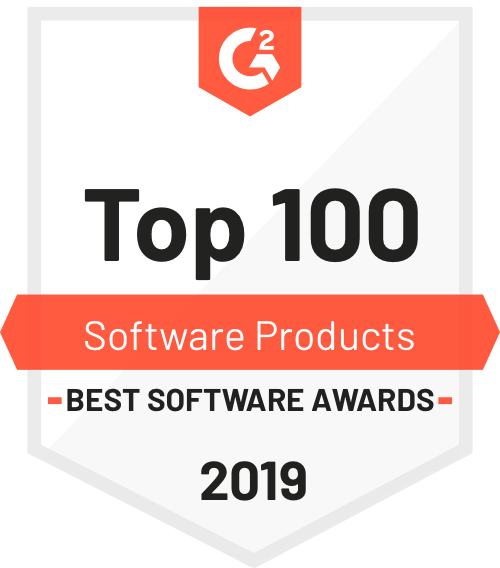 Get Ready Now: Digital and web security will be a hot topic for many, many years to come and professionals that know how to secure user information will have a distinct advantage in the marketplace. Learn what is and isn’t considered Personally Identifiable Information, and how to secure that information from user to site and back. The web of 2022 will extend far beyond the laptops, desktops, and mobile devices of 2017. It will be an even more ingrained part of our lives, with interconnectivity that we will all take for granted. Calling yourself a “web” designer/agency/firm in 2022 might be like calling your smartphone a “cordless telephone” now. Clients will look for designers, problem solvers, and interface experts. While that might sound scary, all of this is good news for web professionals. We already understand working with technologies in an interconnected world and as open source practitioners, we also know how to self-assemble around important causes. Think beyond screens and what we narrowly consider the ‘Web’ today, and opportunity will abound. The future of the web means the whole world is getting more interconnected. Our interconnected world skills are strong. If we properly prepare, I believe we can be instrumental in shaping the world of 2022...2027...2032...and beyond.